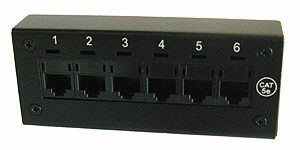 Tiny Patch Block makes it easy to extend six CAT5e workstations or phones to one place using a CAT5e Connectorized Cable. Has a single Female CAT5 AMP Connector on Rear. 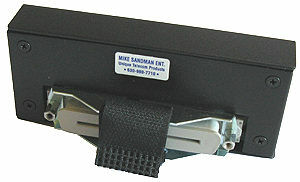 NOTE: Use a 110 Degree Male CAT5 AMP Connector on your Cable which is secured with Velcro, or use a 180 Degree Male CAT5 AMP Connector which is secured with screws.